Who Is The Most Convenient Dry Cleaner In Las Vegas For Me? There are a couple different types of results when someone looks online for a dry cleaner in Las Vegas. If they do not include the words “Las Vegas” they will be provided with results that are close to them in physical proximity, the same way as if they included the words “near me” after “dry cleaner.” If they include the words “Las Vegas” in the search, they will be provided with listings from all over the valley, and while there may be some consideration given for the locations that are more convenient for you, that will not necessarily overshadow the ones that are completely inconvenient. Most dry cleaners do the same kinds of work, and really most people choose one over another by the convenience and prices as well as if there have been many bad experiences from other customers. A typical dry cleaner is not going to have many bad reviews or good ones, because people are just not very excited by dry cleaning. 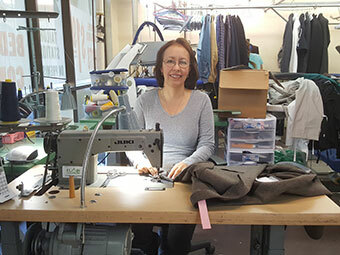 As long as the job gets done and the clothes are not ruined, then they are satisfied as long as the hours and location are convenient for them. 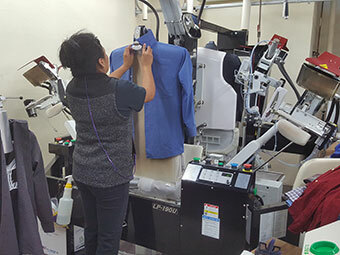 In the past, dry cleaners like us opened up multiple locations simply to be convenient for our customers, and even though we would typically have all of the actual equipment only in one of those locations we simply used the different addresses as a place for customers to pickup or drop off. While we still have those locations for customers who want to physically drive down to the dry cleaner and drop things off, we have gone one step further to making things convenient for you. You no longer have to go to a location to get our services, and we will come to you. Because we typically drive to each of our locations and pick up the orders to be processed from there, we figured it would be just as easy if we just came directly to your home. There is no extra charge, and you never have to drive down to any of our locations again. Business hours no longer apply, and the process is simple and free. So when you are ready to get your dry cleaning done, and want the best service with the most convenient hours for you, then use our website to schedule. Complete Cleaners brings the dry cleaner to you, so you no longer have to look for which location is closest! When you look online for “Las Vegas dry cleaner” you are probably seeking the location that is nearest to you. Unfortunately this is probably not bringing in the best business, just the business that is closest to you. What many people do not necessarily understand about dry cleaners that have multiple locations is that the actual process of dry cleaning usually only happens at one of those locations. While the clothes are picked up and delivered from physical locations that serve specific areas of town, essentially within a short driving distances from large population centers, the clothing itself is cleaned at a location that has the equipment onsite. Many dry cleaning chains operate this same way, doing all of the actual processing of the services at a single location and using the others simply as the convenient locations for customers to pick up and drop off their orders. While Complete Cleaners operates in this same manner, the locations generally do not have the cleaning equipment onsite. By consolidating all of our equipment into a single location and processing all of our orders from that location, we can keep our prices lower than if we had equipment in every location. From the standpoint of the customer, it makes no difference if the actual cleaning happens here or in another location, as long as it is done on time and for the best possible price. However Complete Cleaners actually goes one step further, allowing the customer to never even need to drive to a location in order to have their clothing dry cleaned. We come to you, everywhere in Las Vegas. If you live within the city limits, we are your most convenient dry cleaner because you will never have to go further than your house. Just like we will pick up your order from any one of our locations and transport it to our processing location to be cleaned, we will also pick up your order from your home or business and transport it as well, and there is no extra charge for that service! Serving all of Las Vegas is pretty simple, we bring the process to you and allow you to pay using your credit card. All you do is let our drivers know to come by your location by contacting us through our website on the “pickup and delivery” page, and let us know if there are any special requests like the use of starch or not. Our drivers will provide you with a special bag to place your clothing into that can be left on your doorstep or another convenient place, and it will be returned to that same place when the order is complete. We keep your credit card number on file, and when the order is ready for delivery your card is charged. The amount you pay for our services is the same as if you dropped the clothes off at any of our locations, and no extra fees are added for delivery. Most people think that dry cleaning simply gets rid of odors, as well as removing dirt and oils from your clothing. Many are unaware that dry cleaning will actually help your fine clothes to last longer, and prevent the aging process that causes them to need to be replaced. This is due to the common misunderstanding of what dry cleaning is and how it works. Because there is almost no basis for comparison that common people have between the processes, they assume that dry cleaning is done the way that home washing is done, only without the use of liquids. The words’ dry cleaning” themselves probably have a lot to do with the misunderstandings of the process, as they imply that it is somehow accomplished without liquids at all, and this is not true. The process simply does not use water and agitation the way your home washer does, relying on chemicals to remove the dirt and oils instead. Even though chemicals are used instead of soap, the process is far more gentle on your clothes than home washing. Dry cleaning is the bathing of a garment in a specialized chemical that removes the dirt and oils through a reaction, after which the chemical liquids are extruded from the garment using a specialized machine. After this point the garments are pressed using an industrial iron and bagged and hanged for pickup. The chemicals in the bath are Tetrachloroethylene (perchloroethylene), which the industry calls “perc”, or the alternative solvents trichloroethane and petroleum spirits. All these solvents are found occurring in nature in many places, and are generally used in combinations that are derived by the equipment manufacturers and the operators of the dry cleaning stores, based upon the results they receive through experience. These chemical solvents are also used in other capacities to perform cleaning duties that involve dirt and grease, and have been found to be safe for human exposure through many tests performed by regulating bodies. The dry cleaning process needs no agitation the way that a soap and water washing machine does, as it performs the cleaning by breaking down the dirt instead of agitating the fibers to loosen it. For this reason, clothes that are designed to have a shape and specific colors will maintain that shape and colors more readily, while still remaining clean and fresh. Overall, the dry cleaning process will not have a negative effect on the shape that the fabrics have been sewn into, and the general shape of the garment themselves. Typical washing using agitation breaks down the shape slowly, and is responsible for the fading and aging look that clothes get over time. Because there is no agitation in the dry cleaning process, this is not a concern. It is suggested that clothing that comes into contact with skin be dry cleaned after each use, and clothing that does not come into contact with skin is dry cleaned after two or three uses. This will keep the buildup of oils to a minimum, and extend the life span of the clothes for a longer period. Most people cringe when they see the “dry clean only” tag in their clothes. This is going to mean the difference between simply tossing it into the washing machine or dryer and having to take it all the way down to the dry cleaner and then pick it up again later. Even though many dry cleaners like us will actually make it more convenient for you than if you did your laundry at home, by coming to your home to pick it all up and then drop it off when it is done, all for free, some people still view it as being a bit more of a hassle than washing at home. For those who are irritated by these issues, it is important to understand why we dry clean clothing, and what the benefits are. First and foremost is that your clothing gets clean, and odor free. This is going to be the case with any washing process, but one of the things that we find is that when items need to be dry cleaned people tend to not clean them in between every wearing. Because of the involvement of other people in the process, people will wear their clothes a few times before taking them in or having them picked up, which tends to be harder on the fabric than if you cleaned them in between every wearing. One of the misunderstandings of the process is that the tumbling and agitation motion of your home washing machine is what causes clothes to age after a few washings, but a dry cleaning process uses no agitation in that way. For this reason, dry cleaning will remove the dirt and oils from the clothing that has been placed on it before it builds up and begins to discolor the materials. Basically, dry cleaning is good for your clothes and the more regularly you do it the better shape your clothes will stay in. The fabrics that are designed to have a specific color and shape will retain that color and shape as opposed to being beaten into being looser and less formed the way a washing machine does. Your dry clean clothes are made of materials that cannot withstand this action without losing their shape or bleeding their colors, so it is a good idea to dry clean after you wear it each time. If your clothing does not come into direct contact with your skin, you can generally get away with dry cleaning after every other wearing. There is a point where exterior dirt will begin to age the clothing, so even if it isn’t oils that have been gathering, the dry cleaning process will restore the freshness of the clothing when it was new. This will serve to also protect it and lengthen it’s life span. Even if it is a little more expensive and time consuming, it is always a good bet to dry clean your expensive clothes. Even lesser expensive clothes can benefit from the process, but the better material it is made with the more you are going to need to protect it. When many people look at the tag that is on their clothes and see the “dry clean only” instructions, they begin to think that they are now going to have to pay an extremely high price for cleaning, and that it is now going to be incredibly inconvenient. They may regret buying a garment that needs dry cleaning, or think that they will now simply avoid cleaning it at all. These feelings are unfounded, as long as you have a local dry cleaner that is honest and considerate. Our business understands and knows that your time is valuable, so we go out of our way to make sure that you are provided with dry cleaning services that are not only affordable but also do not require you to take time out of your day. It is important to the clothing itself to dry clean it regularly, or it will be permanently ruined by the oils in your skin and the dirt and dust that settles on it. The clothes that you purchase that are made from more delicate fibers will require to be treated with more care than home washing can provide, and as a result will be stained or damaged if they are not professionally cleaned on a regular basis. We suggest dry cleaning any garment that does not directly contact your skin every other wearing, and anything that touches your skin in between each time you wear it. Coats and other garments that are worn over other clothes can be cleaned less frequently, maybe twice a year if they are not exposed to dirt. The main reason that you want to make sure that you regularly clean your fine clothing is that it is more expensive than casual clothes, and designed to look and wear a certain way. If you do not dry clean it, then it is going to begin to look and feel old and less sharp than it was designed to look, and if you go too long it will not be able to be restored even by dry cleaning. The oils in your skin can be quite damaging to the clothes. Many people will think that they may be able to get away with not using a dry cleaning service, and possibly can just put the clothes in the washing machine at home to clean them. What you must understand is that this may get the dirt out of the clothes, but the fabrics were not designed to stand up to agitation or water that is used in the process. The sharp and crisp lines of the clothing will become more wrinkled and looser looking, due to the fact that the cleaning process is breaking down the structure of the fibers. The answer to the question is that if the manufacturer gives the “dry clean only” instruction, they feel that home washing will destroy the clothing, so it should be avoided at all costs. Use our free pickup and delivery service, and our low prices to regularly keep those garments marked “dry clean only” looking great. I am sure that you have seen the labels on your clothing that costs a little more, under washing instructions it states specifically “dry clean only” as the method of cleaning. If you are anything like the rest of us, you are probably thinking”why do I have to dry clean this garment, what would happen if I just put it in the washing machine?” Unfortunately the answer is that it would be ruined if you put it through the washing machine, because the dry cleaning process does not use water and the fabrics that this garment is made from do not react well to water saturation. It is commonly misunderstood that dry cleaning involves no liquid, hence the name. This is actually not the case, and it is called dry cleaning because it uses no water. The process actually involves a chemical bath that will remove the oils, odors and stains without destroying the integrity of the weaves and threads of the fabric, as well as not effecting the colors of the dyes. The process bathes the garment then extrudes the chemicals out of it before pressing using a professional iron. The chemicals used are safe with contact to skin, and are completely removed from the garment using a specialized machine. Dry cleaning involves no tumbling or agitation the way that a home washing machine does, so the cleaning is actually done chemically, and not using a process that breaks down the threads and ages the garment. The reason that dry cleaning is recommended for more expensive garments and not for cheaper cottons and other fabrics is simply cost and time. It is expected that you will not be dry cleaning every bit of clothing you wear every day, as this would be cost prohibitive. The clothing would probably benefit from the process, but most people do not dry clean cheaper garments simply because they do not need protection from the wear and tear of the cleaning process. They can simply be replaced when they are worn out. Because dry cleaning expensive garments costs more than simply placing the clothes into a home washer, it is rare that you will find people dry cleaning a piece of clothing in between every wearing. Generally you will find people dry cleaning items which do not directly contact skin after two or three wearings, or more often if they are exposed to cooking odors or smoke. These types of activities will need dry cleaning more often in order to keep the clothes looking good, but rarely are you going to find someone who dry cleans in between regular wearings. The schedule that is best to be followed is that if the garments come into contact with your skin, dry clean them every time you wear them. If the garments do not directly contact your skin, dry clean after a few light uses. If the garment is a coat or scarf or tie that is worn on top of other clothes, dry clean after a few months. It is best to regularly dry clean your clothes in order to keep them looking good, and keeping a schedule will help you with the process. Las Vegas has always been the type of place where people attempt to look good when they are out, either at work or during leisure time. The city is filled with nightlife, restaurants and clubs and other get togethers where more than casual clothing is encouraged. Because of this electricity and desire of residents to look their best, the dry cleaning market in Las Vegas is one that provides a necessary service. Other areas of the country may not have as much call for dry cleaning as a place like Las Vegas simply because the only places that you might actually dress up would be on special occasions, but in more eclectic cities that cater to a young crowd, dry cleaning is always going to be necessary. Over the years the styles have changed, but the need to dry clean fine clothing remains the same. There has been an interesting shift among the younger generations with regards to style and fashion over the last few years. As workplaces require business attire less and less as a job requirement, young professionals are turning to more formal clothing as part of their nightlife. Where they once wore suits during the day at work and opted for more casual clothing at night when they went out, now we are seeing the exact opposite with suit jackets and more formal clothing being worn during casual times. This is partly due to the modern professional young person not wanting to dress up when it is required, but instead choosing to dress up on their own time. Oddly enough, this has actually lead to an increase in the amount of call for dry cleaning in areas that offer more nightlife activities like bars and clubs that would cater to a crowd that cares about the way they present themselves, as fashion has taken a turn towards more formal attire in these situations. Because the people actually envoy wearing the clothing now as opposed to being required to wear it, there seems to be more attention being put into keeping it nice. By continually dry cleaning their garments after wearing them, you can extend the life span of your fine garments and keep them looking fashionable for longer. One of the main issues that younger people have with dry cleaning is the time that is spent going to and from the dry cleaner itself to drop off or pick up the clothes. This is why modern dry cleaning chains like Complete Cleaners will usually offer a dropoff and pickup service that will not require you to actually come in to a physical location. In our case, we offer this service free of charge because we realize that your busy schedule will possibly not allow you to dry clean your clothes as much as you would like. Now you do not have to worry about that, and instead just drop your clothes int he bag we provide and leave it on your front steps of your house. We will return it to the same spot when we are done, and simply charge your card on file. At Complete Cleaners we are committed to providing dry cleaning services to the Las Vegas valley that are both convenient and affordable, as well as being a service that you can count on for the best results. Everyone who uses dry cleaners has the same basic concerns that will drive their decision to use one company over another. The concerns that are most common are “is the location near my house or office, is the service affordable, and is the service good at what they do?” We can put your concerns to rest by answering these questions directly. “Is Complete Cleaners convenient to your home or office?” The answer is yes, we have six locations throughout the Las Vegas area that you can use to drop off and pick up your dry cleaning. This is not the most convenient aspect of our services though, as we also offer a completely free pickup and delivery service. This means that no matter where you live in Las Vegas, our services are as convenient as a phone call or a visit to our website. You will be able to contact us to arrange for your dry cleaning to be picked up and dropped off at your home or place of business, and all you do is leave it in the bag we provide. We want to make it easy for you, so we do not even require you to take time out of your busy schedule to come in to our locations like other dry cleaners do. We come to you, without any additional charges. “Is Complete Cleaners affordable?” The answer is yes. Less than two years ago we completely remolded our locations and upgraded our equipment to provide the best service possible. This allowed us to streamline our operations and as a result cut costs. The prices that are charged by dry cleaners cover their costs and provide a little profit to the business, and because we were able to reduce our costs we are proudly able to offer our dry cleaning services at some of the lowest prices per garment in the Las Vegas area. In addition, we do not apply surcharges for services like our pickup and dropoff like others do. We want your business, and we understand that you want the lowest prices. “Is Complete Cleaners good at dry cleaning?” We know that one bad experience with a dry cleaner can make you rethink using them in the future. We understand that we are being tested each and every time you trust us with your fine clothing, and because of that we go out of our way to make sure that your dry cleaning process is perfect each and every time. Our locations have the most modern equipment and well trained employees who treat every piece of clothing as if it were their own. We know that reputation is everything, so we work hard to make sure that you have faith in us. Complete Cleaners is the top dry cleaning service in Las Vegas, and we are always going to make sure that our customers get nothing but the best service at the best prices from us. Give us a try today, and we are sure you will be convinced.